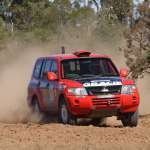 The BFGoodrich CAMS Australian Off Road Championship caught up with 2018 Production 4WD class winner Geoff Pickering, the 76-year-old claiming the class for an incredible 13th time in his career. BFGoodrich AORC: Geoff, Congratulations on claiming your 13th class title. It must be quite special to win? Geoff Pickering: It’s always good to win something you are passionate about and I am passionate about off road racing, especially in serious production vehicles. To achieve another win for the team and myself is extremely pleasing. Our celebration was not over the top, we are not celebratory-type people, we are just a pretty close knit team with only three to four people, so we just talked it about and savoured it on the day. AORC: Was there a particular moment that you would be proud of? GP: I guess I feel good in every race tackling the different conditions, which vary from race-to-race. Just being able to put the car through such challenging conditions and being able to change your driving style accordingly is what I love about it. As for one particular moment, I would say possibly completing Finke for what I believe was the 13th time. We have attempted it 14 times and we have finished it 13 times, so to get that done was fantastic. AORC: Dare we ask, was there a worst moment of the year? GP: We had a DNF in Rainbow this year, which in itself was the worst moment of the year because anything that causes a DNF is not a good thing. We were on the pace throughout the race and I was extremely pleased with the rhythm of the car and the way the car was rolling. On one section, as the vehicle as went over a chicane at our normal pace, there must have been a rabbit warren underneath, because the road had collapsed and we took the front wheel of the car, causing the DNF. AORC: Who would you like to thank for your special 2018? GP: I would like to thank Bernard Grant who manages the car and always prepares the car to an extreme, safe and certainly high performance standard. My navigator and co-driver Dylan Watson for his diligence, pace notes and ability to keep me on track. Finally Ron Griffith who assists Bernard in the pits from time to time. AORC: Any plans made for this year yet? GP: This year’s plans are the same as usual and we will be at every round starting with St George. We have also been developing another vehicle over a period of time, however it is taking a long time. 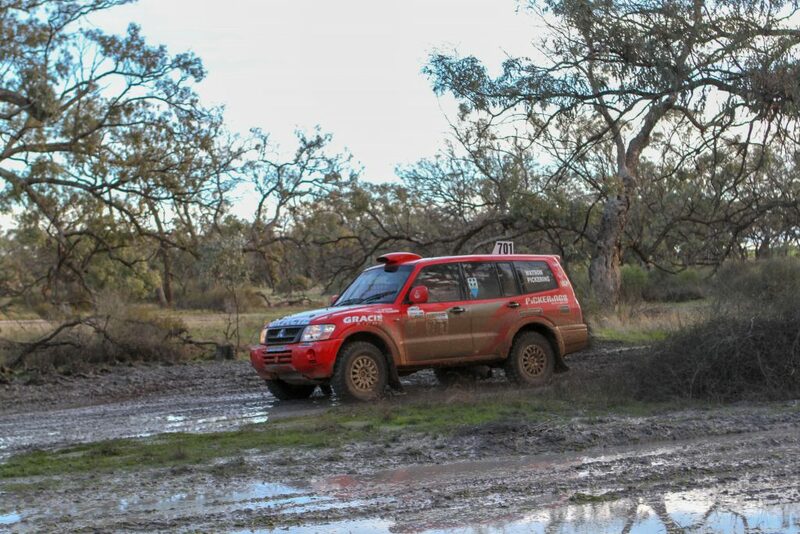 Hopefully we will go with a brand new diesel powered Pajero for the first round, but I can’t guarantee it will be ready for the first race or even second in Finke.